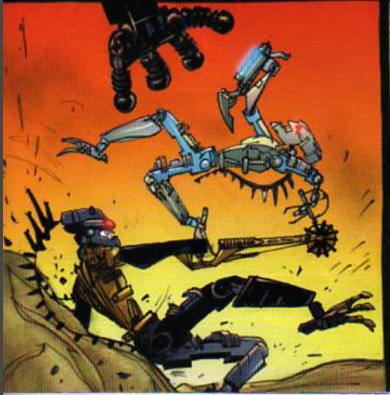 Whether it'd be an epic shot, a funny/awkward scene or dialogue, or downright terribly drawn, post your favorite Bonkle comic panels (no more than two per post to avoid spam)! It wouldn't surprise me as that's honestly the easiest way to not only know what you're drawing but to also make sure that the drawing is as accurate as possible. I always thought the Rau looked really goofy in this panel. The Rau always looked odd to me. Especially the translucent Great Rau. This frame was always particularly memorable to me, the mighty Kardas frozen in time and space. Vakama can shrink his head in battle, apparently. 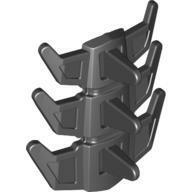 Kinda like the goombas from the Super Mario Bros movie. 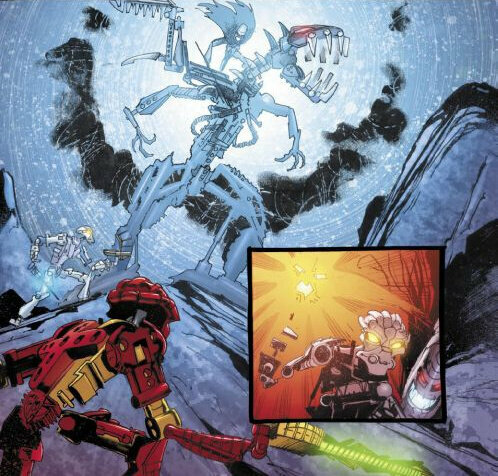 By the way, I always wondered why the Toa Metru don't have the piece covering their gears in the comics. Is it because they were drawn from prototypes? I always thought the art for the ignition series looked weird. I distinctly remember one panel from issue 1 with a blue Hakann. 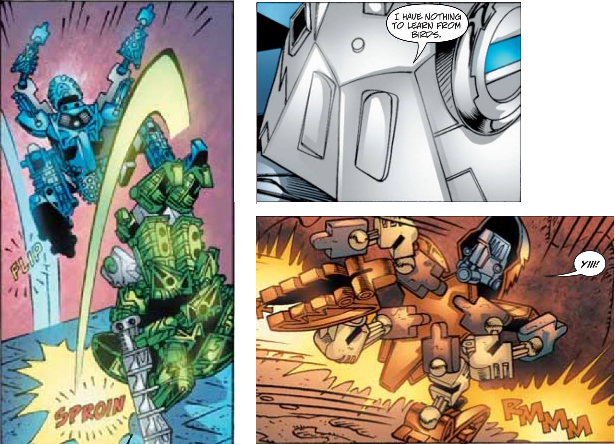 I didn't even know Takanuva '08 reused Takadox's face as armour until I saw this panel, where a decapitated Barraki gazes into your soul. It's pretty weird that they actually drew in his facial details there. Considering in the story that's not actually supposed to be on it. 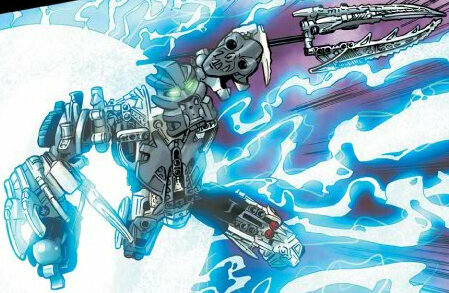 Meanwhile, Makuta's sets have a habit of containing whatever mask he's seeking that year. 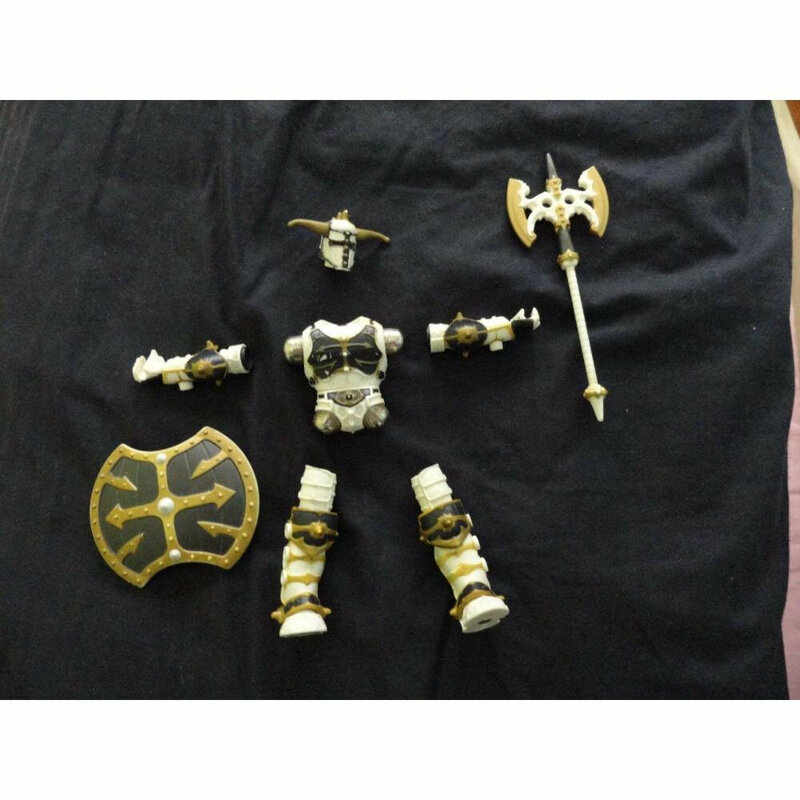 Makuta '03 has two copies of the Mask of Light as his hands, and Maxilos '07 uses Vezon's face, complete with the Ignika, as shoulder armor. What even- they drew the red axles that were on the set too! That would explain why they never got proper mouths or, until '09, hands. Was recently looking at some of the comics, and this scene stood out to me. It looks like Axonn has just ripped Thok and Reidak in half. Don't worry though they're fine in the next panel.